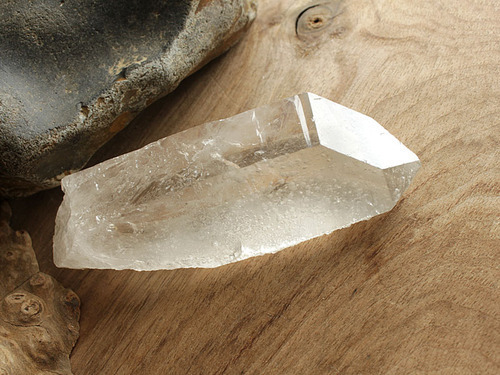 Preparing a Lemurian Isis Quartz for the next part of its journey… Some crystals travel through my studio like that. 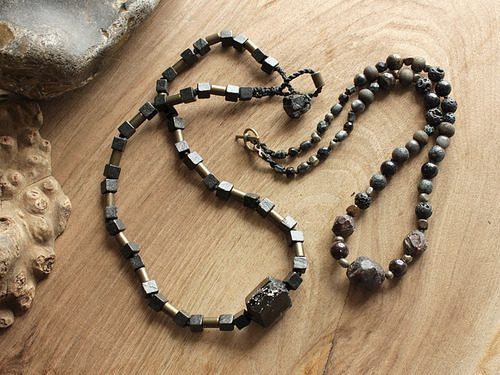 This one is destined elsewhere… Other wandering thoughts solidified in a dark-toned beaded necklace, titled “Way Home”, that includes Almandine Garnet, Tourmaline, Lava Stone, Pyrite, Bronzite & Larvikite. It’s somewhat of a departure from what I’m working on at the moment in general, but it’s fascinating to see what ‘wants to be made’ in any given moment. 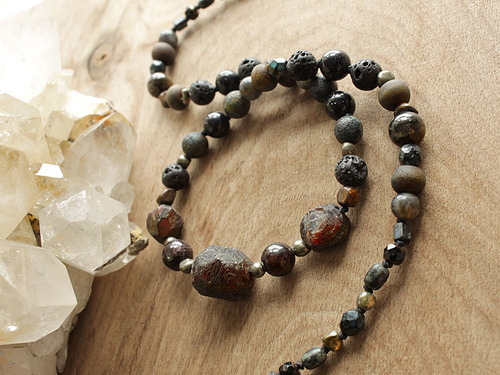 The first beaded necklace inspired a dark toned partner “Wood, Metal, Stone” with only Black Tourmaline as its gemstone focal.